Welcome to our live blog from the College Station City Council’s workshop and regular meetings on Thursday, April 26. It’s not the official minutes. CSISD Agreement: The inter-local agreement is for the College Station Independent School District’s cost participation in the reconstruction of Holleman Drive from North Dowling Road to Rock Prairie Road West. The traffic impact of the new River Bend Elementary led to the addition of a traffic signal and pavement, and utility relocations. CSISD will reimburse the city up to $395,500. The council voted unanimously to move forward with the implementation of Automated Metering Infrastructure (AMI) for the city’s electric utility but to defer the transition to AMI for water. The process will take about three years to complete. Water will continue to install AMI-ready meters for future AMI implementation. The council unanimously directed the mayor to submit a letter of support to Brazos County regarding the creation of a Regional Mobility Authority (RMA), a county-wide independent government agency focused on regional transportation problems such as congestion and travel times. Nine RMAs already have been created across the state. The RMA would work with the local Texas Department of Transportation district. While it would not have taxing authority, it would have eminent domain powers. The RMA would have to be authorized by the Brazos County Commission, then a petition would be submitted to the Texas Transportation Commission for consideration. If the TTC issues a minute order, the county would create an RMA board consisting of directors appointed by the county commission and a presiding officer appointed by the governor. 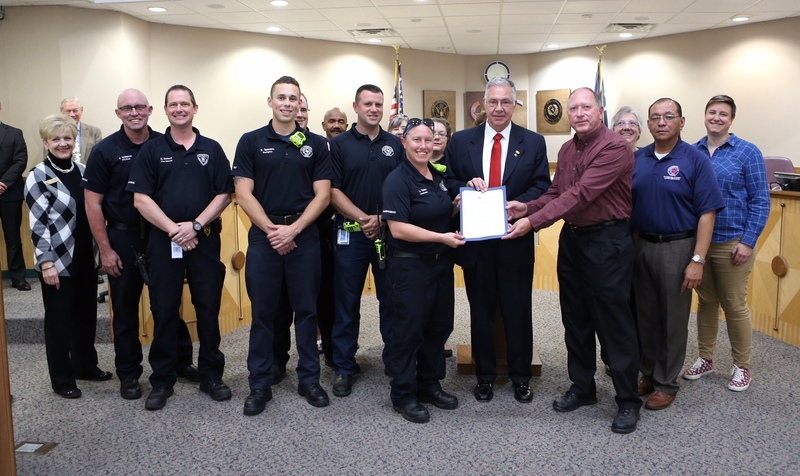 The mayor recognized May 4 as International Firefighters Day. Councilman James Benham recognized Army Capt. David M. Fraser as part of the Fallen Heroes Memorial program. The 25-year-old Houston native died Nov. 26, 2006 when an improvised explosive device detonated near his vehicle in Baghdad, Iraq. Weston Salanty expressed concerns about roadway improvements needed in some areas of the city. Hugh Stearns spoke about his recommendations for the city to better communicate and interact with residents and neighborhood groups. An annual agreement not-to-exceed $125,000 with the Brazos Valley Softball Umpires Association for officiating services for city athletic leagues, programs, and tournaments. A $346,260.81 contract with Jamail & Smith Construction for various facilities corrective maintenance services. An inter-local agreement with the College Station Independent School District for cost participation in the city’s Holleman Drive South Widening Project. CSISD will reimburse up to $395,500 for costs of the deceleration lane, traffic signal, and utility relocations related to the new River Bend Elementary School. A $312,000 contract with Kimley-Horn and Associates for design and construction phase services for Phase 2 of the Northeast Sanitary Sewer Trunk Line Phase 2 Project. A 171,469 contract with C. F. McDonald Electric for the Municipal Court/Traffic Control Center Backup Generator Project. A resolution authorizing a license agreement with Thomas and Stephanie Adams for the encroachment of part of an underground pool structure in the Pebble Creek subdivision. A lease amendment with JAR Capital Investments extending the term for two years for space at 511 University Dr. East. The second reading of a franchise agreement with Premier Metal Buyers for the collection of recyclables from businesses and multi-family locations. The second reading of a franchise agreement with Pronto Services for the collection of recyclables from businesses and multi-family locations. After a public hearing, the council voted 5-2 to approve a request to rezone about 36 acres from Planned Development District to Townhouse near the intersection of Buena Vista and Summit Crossing Lane. Councilman Bob Brick and Councilwoman Linda Harvell voted against the motion. The change allows for Phases 4-6 of the Summit Crossing development. After a public hearing, the council voted 5-2 to approve a request to rezone about 12 acres from Planned Development District to Multi-Family near the intersection of Summit Crossing Lane and Harvey Road. Councilman Brick and Councilwoman Harvell voted against the motion. The change allows for development. After a public hearing, the council voted unanimously to amend the conditional use permit for the Wayside Food Park in Northgate, eliminating the requirement for certified peace officers. The council voted unanimously to annex about 65 acres near Rock Prairie Road West, Holleman Drive South, and North Graham Road. The council conducted a pair of public hearings on the annexation in March. The council voted unanimously to authorize the issuance of up to $55 million in certificates of obligation to fund various capital projects, Including streets, parks, land for a future fire station, city hall design, information technology, and electric, water, and wastewater system improvements. The council approved the projects as part of the FY18 budget. The council voted unanimously to approve J.T. Vaughn Construction as the construction manager at risk for the College Station Police Headquarters project. 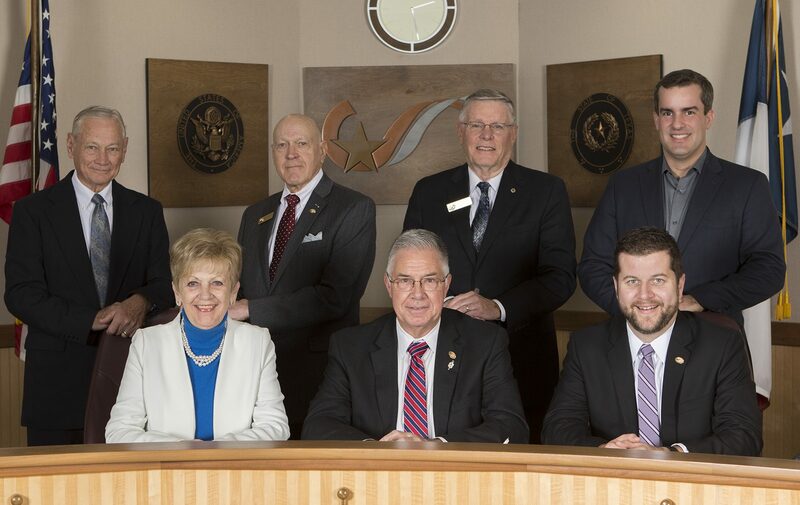 The council postponed until the May 10 meeting making an appointment to fill an unexpired term as the city’s representative on the Research Valley Partnership board of directors. The term ends in June, but the appointee would be eligible to be reappointed for two additional three-year terms. The council wished Interim City Manager Chuck Gilman well in his new job with the San Jacinto River Authority. Gilman’s final day with the city is Friday. Gilman has been with the city for a decade, also serving as deputy city manager, public works director, and capital projects director. Best wishes, Chuck — and thank you for your service! Mayor Mooney adjourned the meeting. The council meets again on Thursday, May 10. Rental Registration Update: The council will receive a workshop presentation about new software that allows online registration and renewal of rental properties. Impact Fees: The council will discuss the pros and cons of implementing impact fees for transportation and water/wastewater infrastructure. University Drive Safety Improvements: The council will consider a contract for creating a final detailed design of Phases 2-5 of the University Drive Pedestrian Safety Improvements Project. School Traffic Movements: The council will consider changes to traffic movements near three elementary schools as requested by the College Station Independent School District: a) No left turns from Welsh Avenue into the Rock Prairie Elementary driveway; b) No left turns from Brothers Boulevard into the Southwood Valley Elementary driveway; and c) No left turns from Eagle Avenue into the public alley north of Newport Lane during drop-off and pick-up times at Creek View Elementary. Arts council Board: The council will consider appointments to the Arts Council of Brazos Valley’s board of directors.